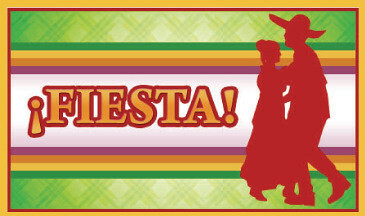 Fiesta 2010, a fundraising event to benefit the Myocarditis foundation will be held at the Brier Creek Country Club on Friday May 7th at 7pm. The event will feature a Mexican buffet and live music & dancing with tunes provided by the local band Twenty Years Gone. There will be a cash bar and a Live Auction will be held to benefit the foundation. Tickets for the event are $75 per person which includes a $50 tax deductable donation. Please RSVP by April 27th. The Myocarditis Foundation, MF, is a private, non-profit organization which was established in December of 2005 when it received IRS 501(c) 3 approval. The organization is dedicated to providing accurate and up-to-date information to medical professionals, patients and their families, and to the scientific advancement of both the diagnosis and treatment of the disease with the goal of saving more lives. For more information about Fiesta 2010 you can download the event details here. To learn more about the Myocarditis Foundation and order tickets visit their website or join them on their Facebook Page. I didn’t know about this foundation. My husband had strep throat a year ago and ended up with myopericarditis. Scary stuff!